Did you know that the landscaping options you choose can lead to a burglary? When people think of security for the home, what usually comes to their mind consists of burglar alarms, deadbolts, and door frames. Nobody ever thinks of the back yard (or the grass that has not been mowed in weeks). However, all these have a lot to do with your home's safety. Make sure that your home is secure for you and your family. Give us a call today for a free estimate! Burglars are always trying to find for an "easy win," so when they pick a house, it's not chosen at random. Burglars are very choosy, and believe it or not, the landscaping of a home is a huge factor. Regrettably, not all houses are burglar-resistant, but the landscaping of your property could safeguard your home from a possible invader. The less your home looks like a vulnerable target, the safer you and your family are. Tree branches can be used as a way into your house when used like a ladder. Tree branches that come nearer than 7' from upper story windows should be pruned. This will help keep unwanted pests off your roof as well. In addition, well-trimmed branches will prevent potential damage in the event of storms and strong winds. When burglars pick out a potential victim, they will look for a house with thick shrubs or tall hedges. The reasoning behind this is because an invader will use the hedge to hide himself as he scopes out the items in your home. An intruder can also look to see if you have a burglar alarm, and if he's lucky, he can even have a clear view of the pin number you enter into your keypad. Also, they can hide here until the home is not occupied. When the coast is clear, they break into your home! It is recommended that all shrubs and bushes near doors and walkways be trimmed to no higher than 3', so intruders have no room to hide. Well pruned shrubs also give the look of a well-manicured, well-maintained property. Trimming down your hedges is your best bet if these surround your home. The ideal solution is to have them trimmed down to the point where it's easy to see your neighbors, and anyone snooping by your home. Although you'll lose some privacy, you're giving an intruder less spots to conceal himself. Consider planting thorny bushes under windows, around the edges of your yard, and next to fences. Hawthorne, barberry, holly, or rose bushes are all effective for warding away invaders. The thorns act as natural deterrents to intruders and critters while being easy on the eyes. If you don't like the thought of having privacy trimmed away, a great alternative is to plant roses or another thorny bush around your windows and doors. You'll be planting something that looks great and protects your home as well. Having these security features in place will deter any intruder from breaking into your home. This can be a good way to increase the security to your lawn or yard. Laying gravel under your windows can keep a potential intruder away. Burglars don't want to be caught, and having gravel around your home can alert you to his presence. The gravel can sound a warning of a possible break-in. Windows are a major weak spot in home security due to the fact that an invader can just open them or break the glass. A good way to help prevent burglary is to put up column bushes. Column bushes are taller bushes that will help to block the window from outside access. The landscaping of your home has a huge effect on your home safety. Keeping up the basic maintenance of the yard will lead to a safer home for you and your family. At the end of the day, the best method of safeguarding your property is having a wireless security system installed. Burglars are on the prowl, and they are looking for their next target. Don't let that be your home! Landscaping can boost the appearance of a house. It can also be a deterrent to intruders. Well-placed plantings, common sense, simple maintenance, and landscape lighting all play an important part of a strong security plan. Don't make your home a target to burglars. A simple stroll around your home will help reveal vulnerabilities. Simply get rid of them by maintaining your landscape, putting in security lighting, and adding some strategically placed plants. Remember to keep your house safe whether you're home or away. The safety of you and your family, after all, is priceless. 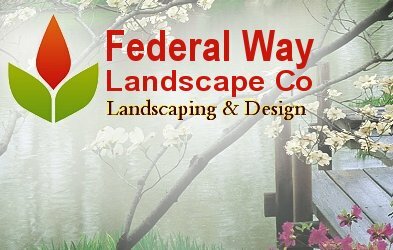 Give us a call to see how our landscaping services can help safeguard you and your family.